No Treyarch zombies map would be complete without a Wonder Weapon and thanks to the new gameplay trailer for Der Eisendrache there's anticipation that the exclusive weapons will be the Gravity Spikes and Elemental Bow. Update - the Trophies/Achievements list has confirmed that these bows are known as "Ancient Bows" and there is an achievement to upgrade the "Wrath of the Ancients". This essentially confirms that the bows are like elemental weapons and can be upgraded to more powerful forms, like the staff's from Origins. Both of these weapons make their debut in the Black Ops 3 zombies experience and both are equally devastating. It's clear to see that Gravity Spikes are insanely effective against groups of zombies, pushing them back with extreme force and even lifting them up into the Sky. The Elemental Bow is slightly copied from the multiplayer aspect of Black Ops 3 (Sparrow class) but we've not seen any Bow weapons in zombies before so it's therefore a welcomed addition in my opinion. Let's look at both in more detail..
For those of you who have player Ascension or Kino you'll no doubt have used the Thundergun (airgun) from those maps. This weapon is incredibly effective at high rounds when you've got a bunch of trained zombies ready to dispose of. It's also incredibly useful for tight spaces when you've got your back to the wall and need to make a run for it. 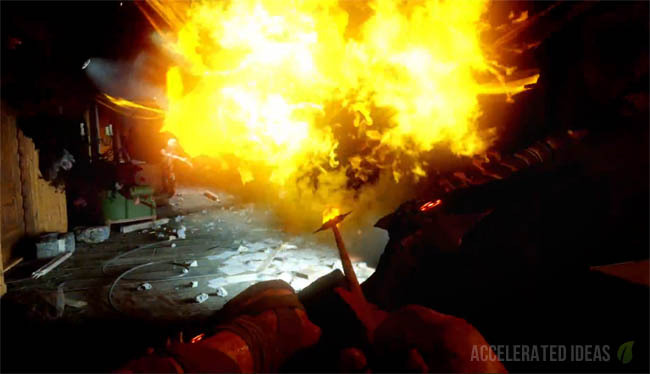 In Der Eisendrache the player smashes the floor with the dual weilded weapon, causing an elective shock wave that sends zombies flying. 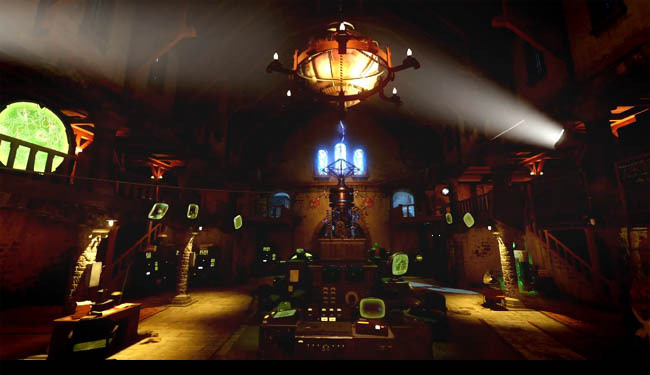 Back in Kino and Ascension the Wonder Weapon was a simple mystery box reward, with no complex steps to claiming it. 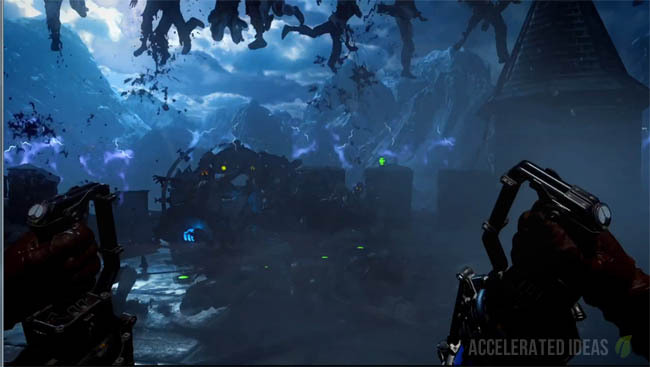 However with Der Eisendrache I would be surprised if the Gravity Spikes were a box weapon. I'd guess that they're more likely to be a reward for either building the item by collecting parts and using a workbench, or as a bonus from the Dragon Traps that are located on the walls. These resemble the old style dogs from Mob of the Dead, which we all know rewarded the player with a Hell's Retriever if enough zombies were consumed at each of the dog locations. Update: To get the Wrath of the Ancients (bow) you must feed all of the dragons (x 3). This is a similar process to Mob of the Dead: simply kill zombies one at a time, giving the dragon enough time to eat the dead body before you kill the next zombie. You must be in close vicinity to the dragon for this to work. The trailer showed what appeared to be an explosive bow but taking a closer look it appears to be an Elemental Bow weapon, similar to the staffs seen in Origins. In this particular trailer the Elemental Bow is a fire weapon but we an expect Ice, Wind and Electric variations as well should Treyarch mimic what they did in Origins. Take a look at the construction of the bow as well, kind of primitive with bone like features? Not only does this match with the theme or dragons but it does sway towards a mythical/elemental theme as well. There's also a red symbol on the side of the bow, which looks like lava. Concentrating on the fire example for a minute..
Whilst explosive weapons haven't always been particularly effective in zombies e.g. rocket launchers, china lake etc. The explosive bow shown in the trailer is slightly different. Not only does it give players a high degree of accuracy for unleashing explosive attacks but it also completely wipes out zombies on impact. Grenades usually suffer from crawlers which makes them ineffective at high rounds, unless of course you want a crawler, so it's good to see that the bow obliterates zombies instead. The blast radius is usually a problem for explosive weapons especially when zombies come in a close range so we'll have to wait a see how this pans out in Der Eisendrache. If this weapon behaves like the Elemental Staff from Origins then blast radius won't be an issue at all. Note: Some of this information was taken from the official trailer for Der Eisendrache but has since been confirmed by Trophies/Achievements.